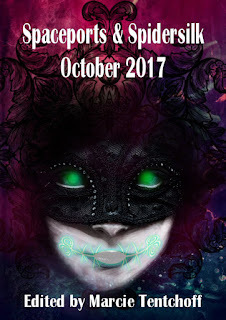 The October issue of Spaceports & Spidersilk is here! 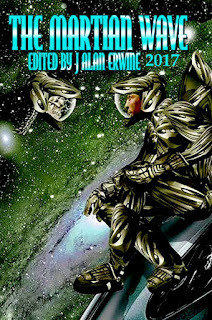 Spaceports & Spidersilk features some of the best science fiction and fantasy fiction and poetry for kids of all ages. The October 2017 issue will take you to places you might never have imagined. It will appeal to your inner child, and hopefully take you back to the places you loved as a child…and if you’re still a child, it will open your imagination to all kinds of new worlds. 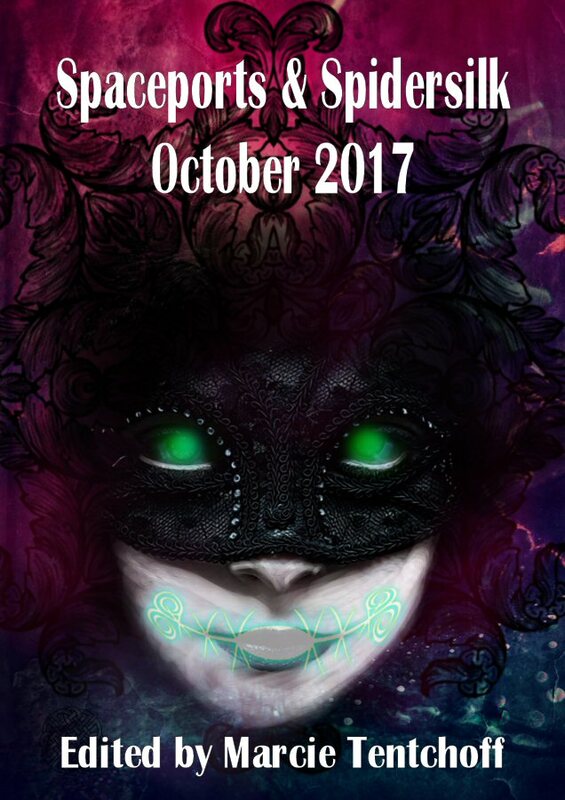 We’re still a week away from the release of the October 2017 issue of Spaceports & Spidersilk, but you can download the zine now…and it’s just 75 cents! Captain Christopher Chases Crows knows that something horribly evil is going on in the Wastelands, but can he convince his government to get involved, and is getting involved even the right thing to do? Morality and law aren’t always the same things, but in the Wastelands, there are times when neither exists. I just put the finishing touches on a new Divided States story. This one coming in at around 3000 words. It should be available in about a week. Something tells me that this one will piss some people off...but then I've never been known to write happy sunshine type stories, nor have I ever cared if my fiction makes people uncomfortable. For the last month or so, I've been doing research in my few spare moments for a new Divided States of America story. A few days ago, an idea came to me for a different Divided States story...so, of course I wrote 1500 words on the new idea today, and I haven't even touched the original idea. No wonder writers have so many mental issues...this is a field that really can drive you crazy! Fred Selkerson and his faithful companion Pat37 continue their exploration of Calivada, but this time, things go very wrong, and they’ll face dangers they never could have expected. The September issue of The Fifth Di... is here! Governing, but not governing most of the nearby galaxy, the Lemec are a powerful species that no one really understands, and this is just how the Lemec want it. Captain Takahashi is trying to understand, but the Lemec try to block his actions at every turn. How can he ever hope to save humanity, and do the Lemec even care if humanity is saved? The September issue of The Fifth Di... won't officially be released for another week, but you can download the e-book version from our store at http://nomadicdeliriumpress.com/blog/product/the-fifth-di-september-2017/ and it's on sale! After losing her beloved Leslie, Debra Mucklow has moved to the Independent City of St. Louis in the hopes of starting again, but her diplomatic duties for the Rocky Mountain States of America aren’t quite what she was looking for. Then a simple guard duty mission offers her a chance to change her life…or maybe lose her life. 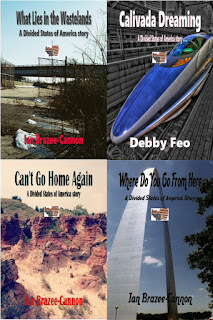 The Independent City of St. Louis is a part of The Divided States of America that we've added for authors to explore, so please feel free to go to http://www.nomadicdeliriumpress.com/dividedstates.pdf and base your stories in this exciting center of trade, diplomacy, and maybe even espionage. And remember, there are a few extra free stories, and tomorrow's your last chance to pick those up as well! Monday the 31st is your last chance to save on our titles at Smashwords, DriveThruRPG, and DriveThru Fiction, so you need to order now! There are just a few more days left in Smashwords' July sale. This means there are just a few more days to save 50% off of any of my collections that they carry, and also only a few days left to get some of my stories for free...so hurry up and order before it's too late! You're almost out of time to save up to 50% off of many of our titles during Smashword’s July sale. Simply go to https://www.smashwords.com/profile/view/nomadicdelirium and click on the title you’re interested in to see the sale price. This sale includes zines, novels, anthologies, collections, and RPGs. There’s bound to be something that interests you!!! Christmas in July has arrived at DriveThruRPG and DriveThruFiction. 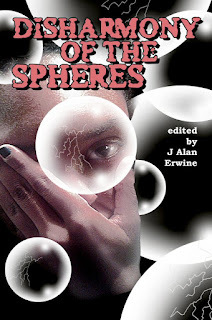 You can save 25% off of many of our titles by visiting http://drivethrurpg.com/browse/pub/2805/Nomadic-Delirium-Press?filters=0_0_0_0_0_31815 and http://www.drivethrufiction.com/browse/pub/2805/Nomadic-Delirium-Press. You can get RPGs, zines, novels, short story collections, novels and even short stories. Order now! There are still a couple more weeks to take advantage of the e-book sale at Smashwords. As far as my titles, all of my collections listed there are available for 50% off. 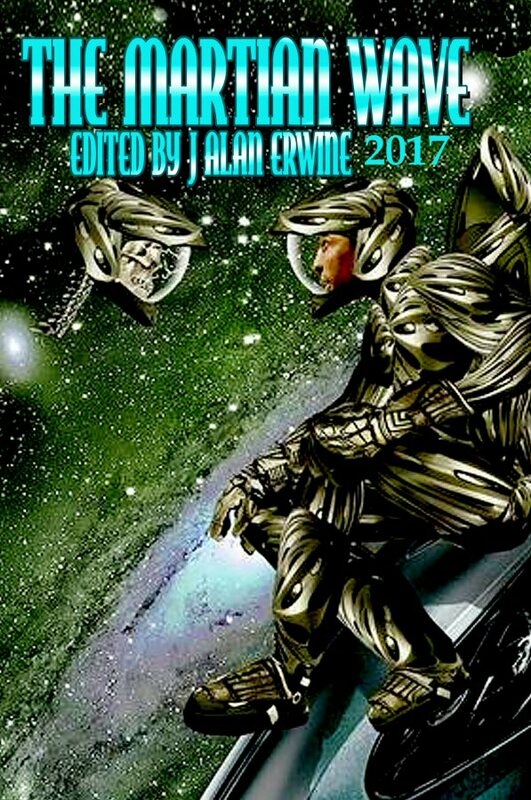 In addition, I've thrown in a few more free stories if you'd like to get a taste of my work, so head on over to https://www.smashwords.com/profile/view/jaerwine and start shopping now. 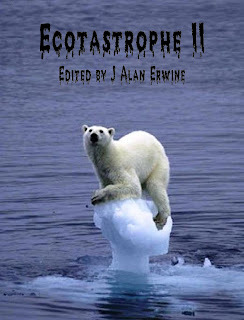 Ecotastrophe II will officially be released on July 27th, but you can pre-order your copies now. 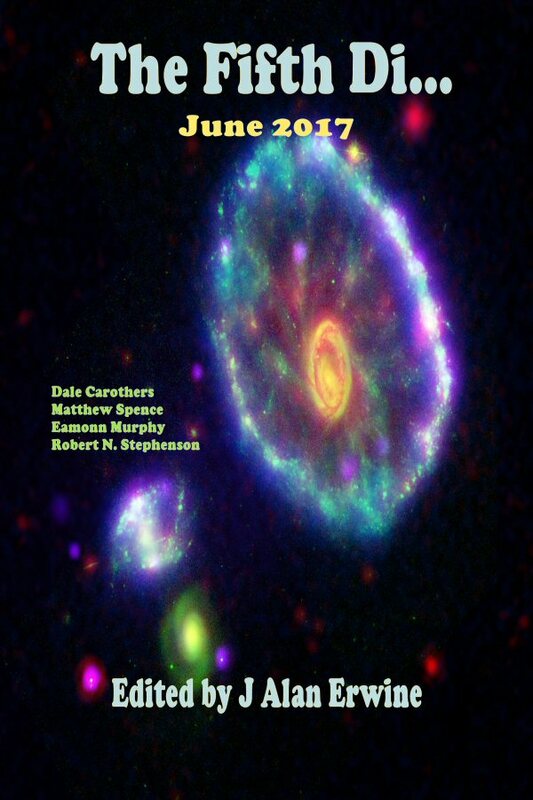 If you’d like a print copy, please go to http://nomadicdeliriumpress.com/blog/product/ecotastrophe-ii/ The book will list for $10, but it’s selling for $8 until the release date. Pre-orders will also soon be available at Amazon, Barnes & Noble, and all other retailers. For the entire month of July, you can pick up any of my collections that I have listed at Smashwords for 50% off. 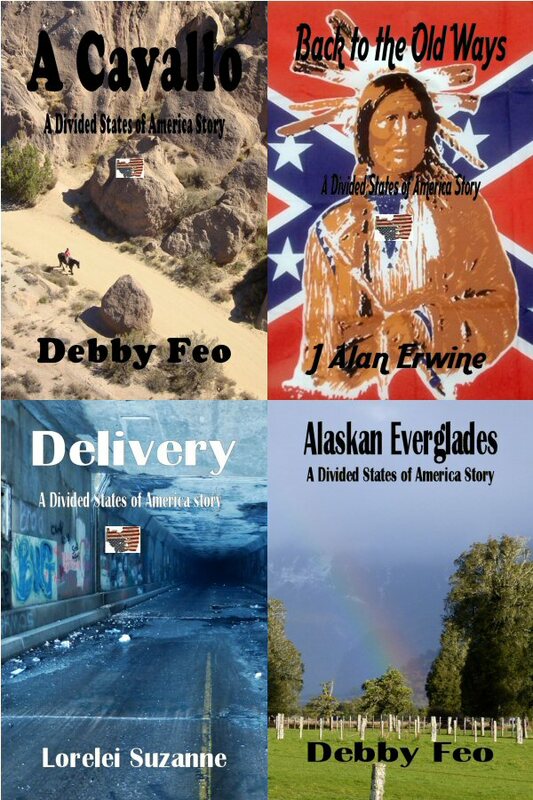 In addition, I've made several of my 99 cent stories available for free, so that those of you who are not familiar with my work can get a taste of it. Go to https://www.smashwords.com/profile/view/jaerwine and pick the titles you want. At this time, they aren't listing the sale prices on the main menus, but hopefully this will change as the sale ramps up. This is a great chance to pick up some of my e-stories and e-books. Some of the collections are only 99 cents!!! For the month of July you can save 25%, or even 50% off of many of our titles at Smashwords. Simply go to https://www.smashwords.com/profile/view/nomadicdelirium and click on the titles you're interested in. At the moment, the sale prices are not showing up on their main menus, but hopefully they will soon. So, unfortunately, you do have to click on the titles that you might be interested in to find out what the sale prices are...but it's a great opportunity to stock up on our e-titles!!! I've already started seeing memes saying that anyone who votes third party has to vote democrat in the next presidential election to make sure that Trump doesn't get a second term. My response to this (as a third party voter) is screw you. This is America, and we're allowed to vote for who we want. Besides, voting for a democrat really isn't much better than voting for a republican. Yes, I tend to be more liberal than conservative, but neither party really represents me...and if each of you is honest, you'll find that neither party really represents you either. Many argue that republican politicians can't be trusted because they're in the pocket of big business. Well, I have some bad news for you, so are the democrats. The republicans might be in the front pocket of big business, and the democrats might be in the back pocket, but believe me, the democrats want to be in that front pocket, and they will sacrifice their voters to get their. The ultimate goal of the majority of career politicians is to get power and to get rich. They're not going to get rich by doing what "We the People" want, but they will get rich by doing what big business wants. I don't care if you're talking about the Bushes, the Clintons, Trump, Obama, or anyone else that has seen power during my lifetime, they're in it for themselves. The republicans may show it more outwardly, but believe me, the democrats want their share of the money too. Why do you think that almost every politician that makes it to Washington walks out of Washington with a lot more money than they should have based on their salaries? Trust me, the answer isn't that they did what was best for the American people. Continuing to vote these clowns into office is taking more and more away from "We the People." Remember, these people are supposed to represent us. They're not our leaders, as Trump might think, but rather our representatives...and yet they continue to do what is not in our best interests. The first thing we have to do is give third parties a fighting chance. The laws as they're made up now are created and enforced by the democrats and the republicans, so they make it virtually impossible for third parties to really have a chance. The second thing we have to do is make congress pass term limits for all members of the house and senate, and make those limits retroactive. We need to get rid of the old guard. No more Mcconell, no more Pelosi, get rid of all of them. They're a plague upon our society and are so far out of touch with the American people that they can never represent the American people. The third thing we have to do is stop listening to the media. All of the networks are biased and they preach those biases as if they were handed down by some deity. Let' go back to network neutrality, the way it used to be. The fourth thing we have to do is stop attacking one another. This is what THEY want. I'm constantly seeing so much liberal and conservative bashing, but the truth is, who among us really represents what these people are attacking. If you want to comment about the idiocy of Trump or Pelosi, then by all means go for it, but you can't say that just because someone is a conservative they don't care about people, or just because someone is a liberal, they don't care about protecting America. Individuals are not sound bites, and we need to stop acting like they are. Go behave yourselves and vote all of the morons, liberal and conservative, out of Washington and let us start anew. I am so tired of everything that happens in the world being politicized. Yes, politics plays a big part in the world, but every time something happens, we don't have to blame "the other side." Why does there have to be "the other side?" Seriously, how many republican voters actually agree with everything their party does? Or how many democratic voters actually agree with everything their party does? The majority of us lie somewhere between these extremes. Although I am quite liberal on a lot of things, there are other things that I am more conservative about. I don't actually consider myself to be a liberal, and we need to stop trying to label ourselves and everything around us. The truth is, the two political parties and the media have spent decades poisoning our minds, trying to send us back to the tribal days when we had to fear "the other." The truth is before we're liberals or conservatives, Christians, Muslims, Atheists, or whatever other description you want to label us with, we're human beings. We have more in common with "the other" than we think. It doesn't matter what we believe or who we voted for, we should all be striving to make the HUMAN RACE better. If we're not willing to do that...then what the hell is the point of all the senseless finger pointing and bickering? 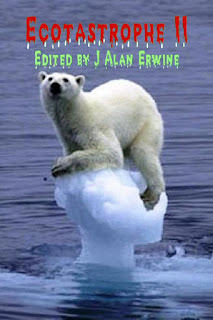 Would you like a free copy of the audio book version of my short story "It's In the Water?" I'm looking for people that would be interested in reviewing the audio book version of my short story "It's In the Water." If you have 40 minutes of spare time, reply here and I'll DM or e-mail you instructions on what you need to do. But please do hurry, as I only have a few codes for free downloads! Debra Mucklow returns to The Wastelands to face her past and her father, but she finds things have changed a great deal in twelve years, and now she has to determine if there is an immediate threat to her team and to the Rocky Mountain States of America, while fighting the demons of her past. 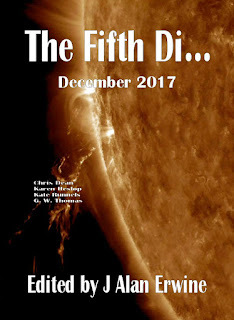 The new issue of The Fifth Di... won't be released for a few more days, but the print issue is now available for order at https://www.createspace.com/7202635, so go ahead and pick up your copy. A soul collector is murdered and taken into the "city" his father designed for the dead, now he must plot to escape and get revenge on his murderer in Dale Carother's "Haunting the Painted City." A magical mirror allows an unexpected glimpse into the past in Matthew Spence's "The Mirror." In the future, corporations still control elections, but what about when politicians decide to fight back is what awaits you in Eamonn Murphy's "Campaign Trail." Finally, one man is sent to the great void between galaxies and forced to face his own loneliness in Robert N. Stephenson's "The Black Canvas." 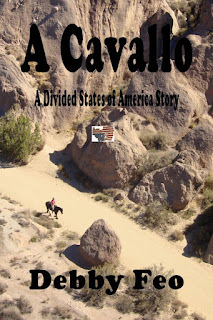 A couple of weeks ago, I received an e-mail accusing me of publishing liberal propaganda with the project I'm editing...The Divided States of America. First of all, if I want to publish liberal propaganda, that's my right as a citizen of the United States. You know, we have these things called freedom, and one of those freedoms allows me to write or publish whatever I want to. Second of all, The Divided States of America is not liberal propaganda. It was pretty obvious to me that this guy had not actually read the guidelines or read about the nation-states I created for this project. The guidelines clearly state that I'm not looking for a specific political viewpoint, but rather looking for a good story. The nation-states are not all liberal, there are plenty of conservative nation-states. The guy also accused me of being a Trump-hater who created this project because I was unhappy with Trump winning the election. Now, while I may consider Trump the worst thing that has ever happened to this country, this project was actually created before the election, because I thought we were screwed no matter who won...and furthermore, the background for the DSA states that the problems might have started before the 2016 elections, which is how I really feel. Anyone that reads this blog on a regular basis knows that I think the two-party system is the worst thing happening in America and I have been arguing this point for a couple of decades now. What we’re looking for: Stories must be at least 2,500 words…with no upper limit. Stories must be science fiction, in the sense that they take place in the future, but depending on the nation-state that you’re writing about, the science may or may not be as important. Obviously, we’ll be focusing more on “soft” sf, but we certainly have room for “hard” sf. Rights: We are looking for first rights on any story. This probably makes sense, since this is a unique setting, and we doubt that you have stories written about any of these nation-states lying around in your desk. Overall theme: We are not looking for an overall theme to the stories. We want quality stories. If you write a story with a conservative slant, or a story with a liberal slant, we don’t care. We just want good stories. Some places are more likely to have liberal stories, while others are more likely to have conservative stories, but that doesn’t mean you have to write that way. You don’t even have to have a political agenda in your story because we’re more interested in how people are surviving in these new nation states. Where to send your gems: Once you have your amazing stories written, we ask that you send them to editor (at) nomadicdeliriumpress (dot) com. Please include “Divided States” in the subject line. Further questions: If you have any questions please send them to the same address. 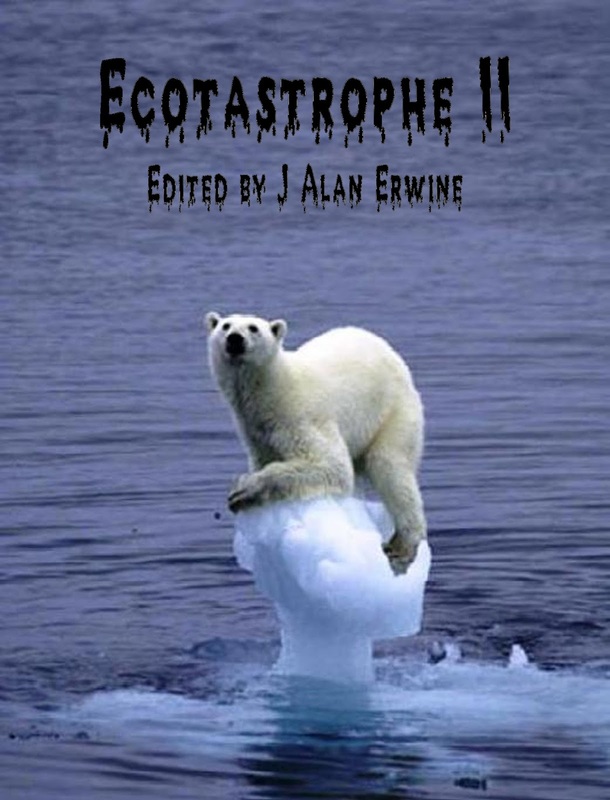 In 2006, Sam’s Dot Publishing released an anthology about the effects of global climate change on humanity called Ecotastrophe. Now that it’s been more than ten years since the release, and global climate change still seems a possible threat to humanity, Nomadic Delirium Press has decided to release Ecotastrophe II. 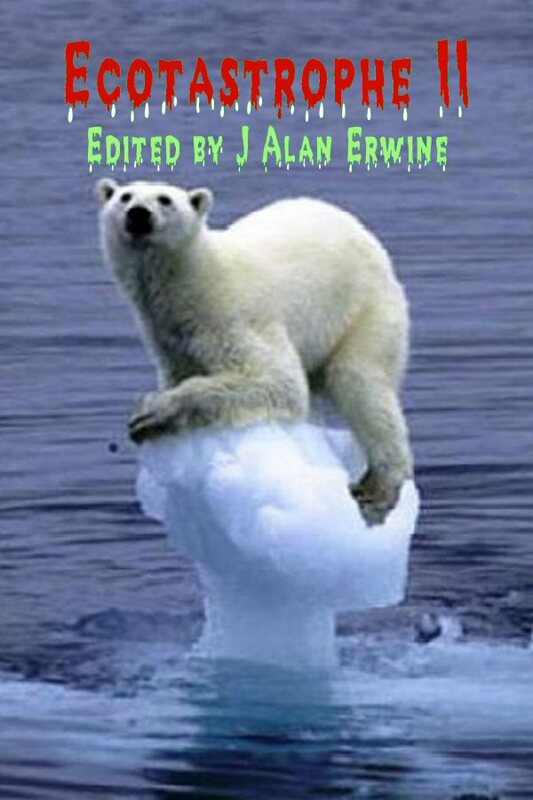 Like the original collection, this one will be edited by J Alan Erwine. Poetry Submissions: We've decided that we will be accepting four, and only four, poems for this collection. They must meet the same criteria as story submissions, and we will pay $5 per poem for first rights, plus one contributor's copy. Please keep in mind that we will only accept one poem per poet. Welcome to Sector Forty-Five, the home system of the Alexans. Here you’ll find their homeworld, and many of the worlds they’ve colonized. You’ll also find worlds that have been conquered by the Khruntha, and worlds that even the Alexans and the Khruntha won’t get close to. The Alexans want to be a peaceful species, but some of these systems show that they are clearly preparing for war. 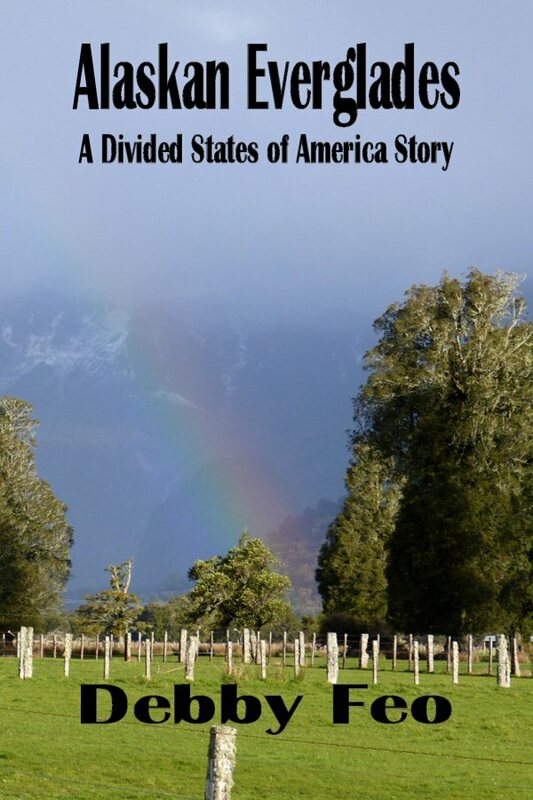 For the rest of the month, save 25% off of any of our Divided States of America stories. Simply go to http://nomadicdeliriumpress.com/blog/shop, pick out the Divided States stories you want and use the coupon code "dsa" at checkout. Earlier this month we went to pick up one of Rebecca's prescriptions. A prescription that for the last six months, we had been paying $10 a month for. To our surprise, the prescription was $80 this time, and that's with our insurance. Apparently, the reason for this is the discount you can get from the pharmaceutical company only drops it to $10 for three months out of the year. The reason we got it for six straight months was because it was October-December of last year and January-March of this year...thus three months out of each year. There's no way we can afford that. According to the pharmacy tech, the price for this prescription without insurance is over $1000 a month. Sorry, that's insane. I understand that it takes a great deal of time and money to get a new medication to market, and I have no problem with a company trying to recoup what they invested in time, research, trials, and everything else that goes into creating medications, but I can't seriously believe that they need to charge that much for a medication. They would have easily regained their investment long before a generic can be made of the drug. Given that this medication helps to dramatically reduce the possibility of her disease turning into cancer, the pharmaceutical company basically has her and others like her over a barrel. There are basically only two medications that are available to Rebecca due to the fact that she does not have a mild condition, and the other medication will greatly weaken her immune system, which isn't good considering we have three kids and she works in a hospital. Unfortunately, it looks like there is probably a generic available for this med, so most likely her doctor will have to switch her over to it. So, now she has to risk getting sick from everything that she's exposed to because we can't afford the one medication. This is one of the many things that are wrong with healthcare in America. The pharmaceutical companies and the insurance companies have way too much influence in everything that goes on with us. It's almost like they have the power of the Gods to decide who lives and who dies, and like so many things in America, it's the poor who suffer the most. We're offering five free e-copies of J Alan Erwine's "Divided States of America" story, "It's in the Water." 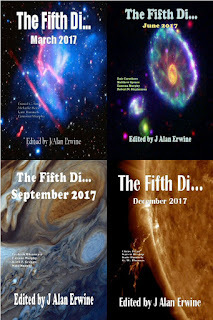 The first five people to go to http://nomadicdeliriumpress.com/blog/product/its-in-the-water/ and use coupon code "dsa" at checkout get the e-story for free. So, what are you waiting for...they'll go quick! For the next two weeks, you can pick up e-titles from my store and save 50% off of your entire order. Simply go to http://www.jalanerwine.com/blog/shop and start ordering titles. When you're done, use the code "sale" at checkout to get your savings. This includes stories, magazines, novels, anthologies, collections, and more. Basically, it includes almost everything that I've written or edited over the many years of my career. I'm not sure how it works with the large publishers, but with the small press, it's always best to buy your print and e-books directly from the publisher, as opposed to buying from an online retailer like that "A" store. The simple reason for this is money. Most small press publishers are doing it out of love...the majority of them don't make enough money to keep them from needing a day job, and the retailers, especially the "A" store take a big percentage from each sale. As an example, at Nomadic Delirium Press we're now doing a line of stories around an idea I came up with called "The Divided States of America." Most of these shorter stories are selling for 99 cents, not an amount that's going to allow us or the authors to retire, but still, we're all in this to at least make a little pocket change. With the DSA stories, we have an agreement that we divide the profits in half. Nomadic Delirium takes half, and the author gets half. Now, if one of these stories sells through the NDP bookstore, the profit from that is usually around 66 cents. However, if one of these stories sells through a retailer, the profit is usually around 35 cents. Looking at one story, it's not a huge difference, but if 100 of these stories sell it starts to become significant, and if it's 1000 stories sold, then we're definitely talking about a big difference. Now, if you take this up to an anthology that sells for $14.95 or a similar amount, you should suddenly be able to see the difference. Even if you just multiply 66 or 35 by 15, you can see that the publisher, and thus the author are making a lot more money when the sale goes through the publisher's store. Our latest "Divided States of America" story is now available..."Calivada Dreaming" by Debby Feo. Fred Selkerson has left the Green States of America to start his exploration of what had once been the United States. Along with his android assistant, Pat37, Fred heads south, where things are somewhat different, but still recognizable…and it’s not long before Fred finds himself Calivada Dreaming. 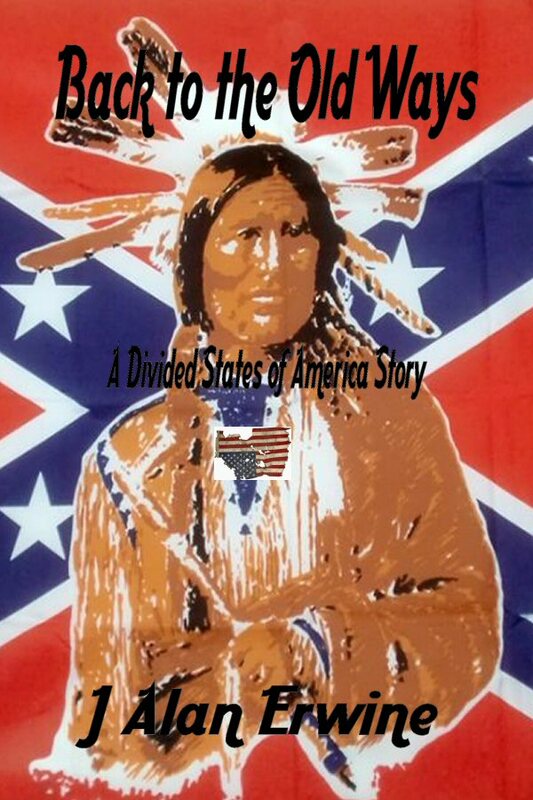 The newest title in The Divided States of America series is "What Lies In the Wastelands" by Ian Brazee-Cannon. An exploration group from the Rocky Mountain States of America comes to the Wastelands to learn what they can, but when they’re captured by natives, they begin to wonder if their advanced technology can save them.